We only get a couple of White-breasted Nuthatches at our feeders, as opposed to the crowd of Chickadees and Titmice, but I always enjoy them. 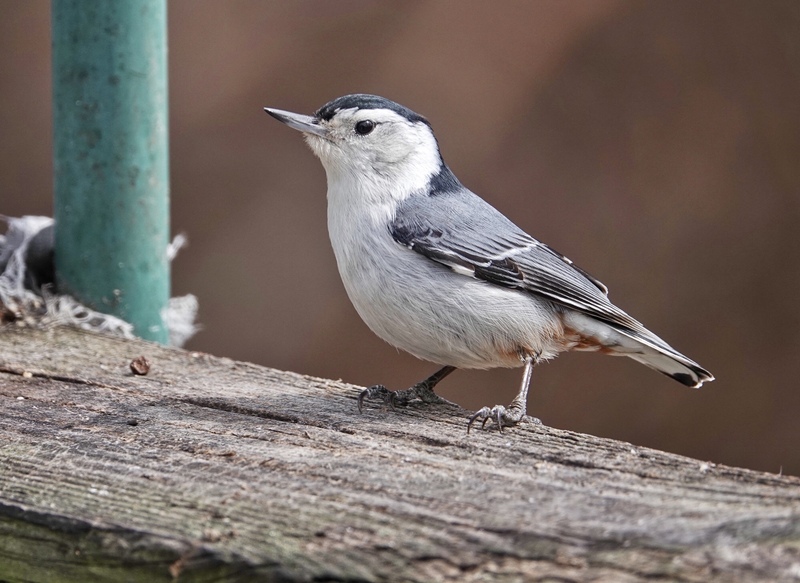 They add a dash of particular attitude…unique to the Nuthatch. Where the Chickadees are fearless and cheerful, the Nuthatches are full of focused purpose…very intent on finding that next morsel of food. I am always happy when I catch one willing to pose for even a moment. Sony RX10iv at 600mm. Program mode. -.3EV. 1/500th @ f4 @ ISO 125. Processed in Polarr and Apple Photo’s Light tool.